28 Gauge Tube for 12 ga. UltraLight. 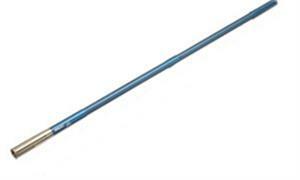 Includes two flush chokes and standard choke wrench. For 12 gauge top single or un-single shotguns barrels. Comes one two flush choke of your choice and a standard choke wrench . The advantage of the Companion series is that they are ready-made tubes that are shipped direct to you and do not require you to send in your barrel or gun. The weight of a standard set of 28 Ga Companions varies by barrel length and bore size.